4" x 6" Thermal transfer paper 7 mil tag. 4 roll case. 4" x 6" Thermal transfer synthetic tag. 875 tags/roll, 4 roll case. Also available as a roll (Part# E23895-R). 6.5" x 8" Thermal transfer paper label. 4 roll case. 4" x 6" Thermal transfer floodcoated yellow paper label. 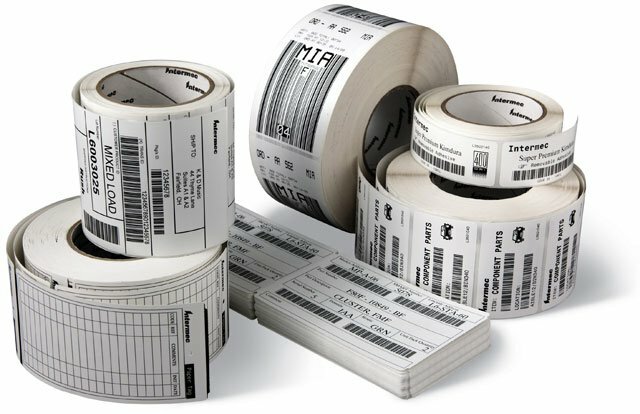 975 labels/roll, 4 roll case. 3.25" x 7.375" Thermal transfer paper tag. 810 tags/roll, 8 roll case.